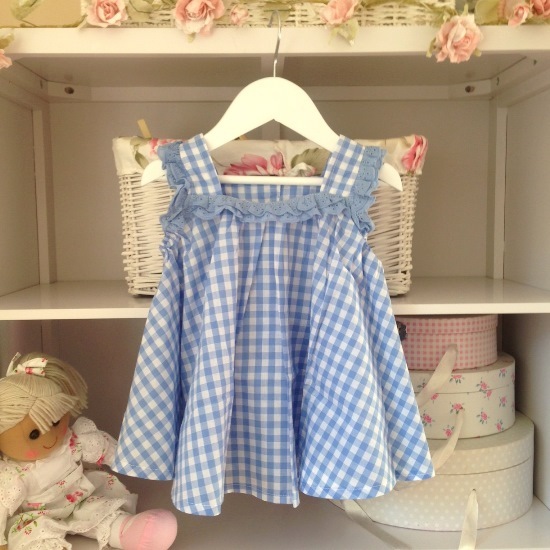 New for Spring/Summer 2015 this adorable gingham print dress is a must have addition to any little wardrobe. 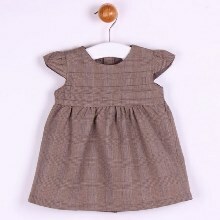 Features a button up back with cute little flower buttons and a crochet trim. 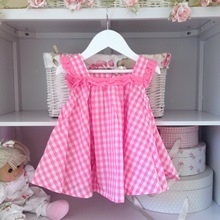 The babydoll style looks super cute teamed with bloomers or leggings on colder days and of course on its own for those warm sunny days. 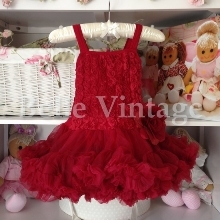 As usual if any size shows out of stock and you would like it please email us because we can have it made for you with a 2 week wait.